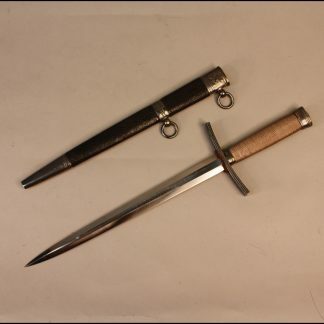 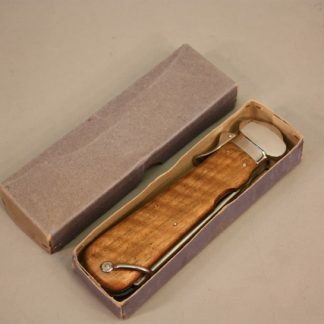 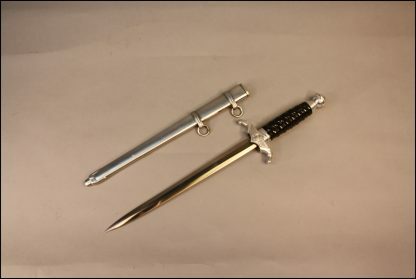 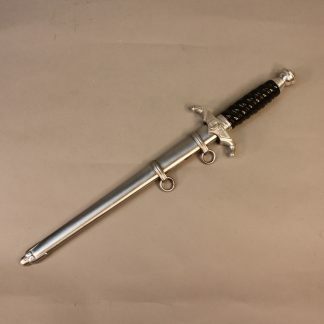 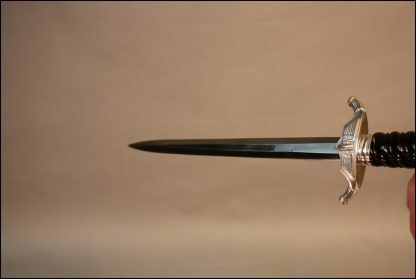 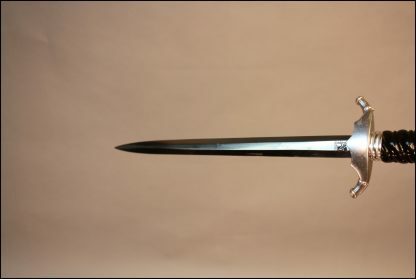 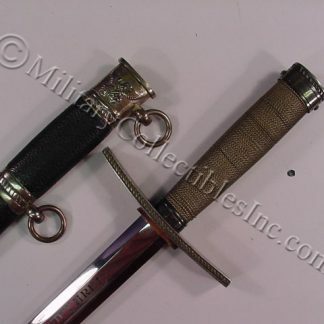 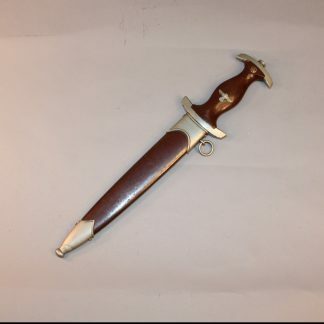 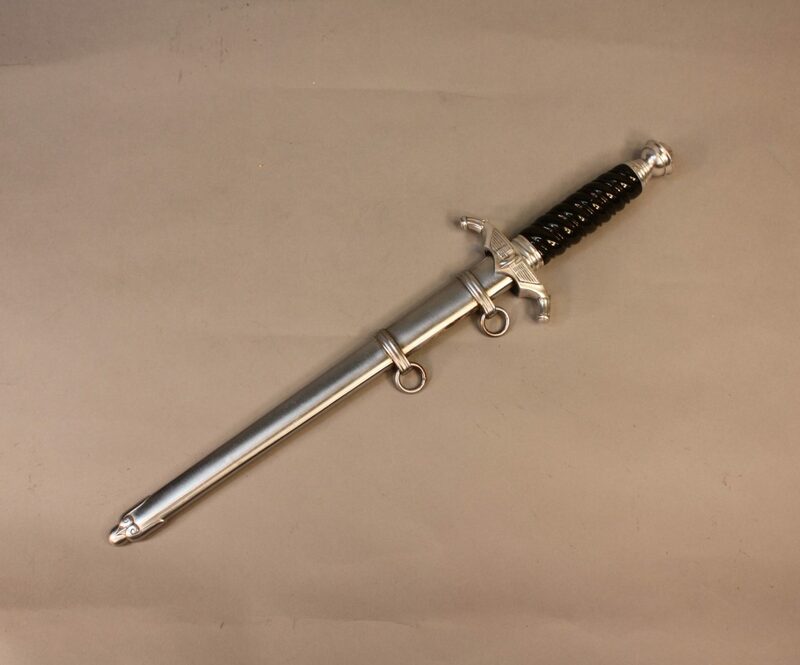 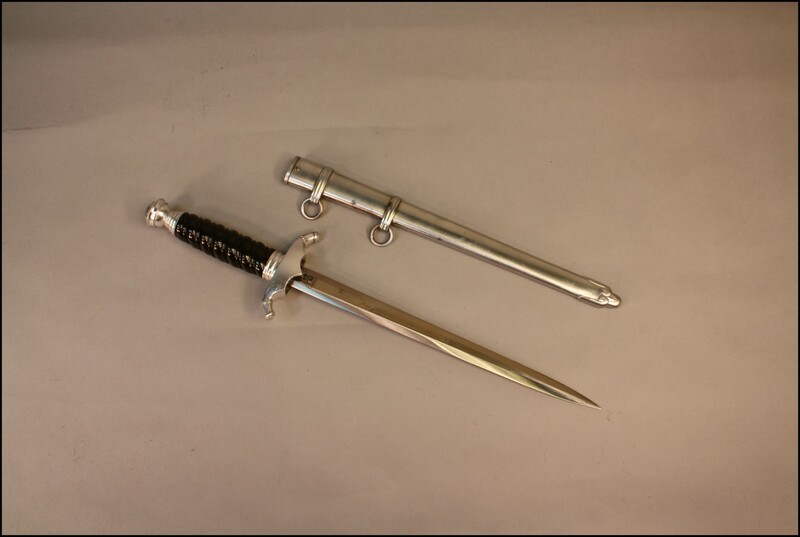 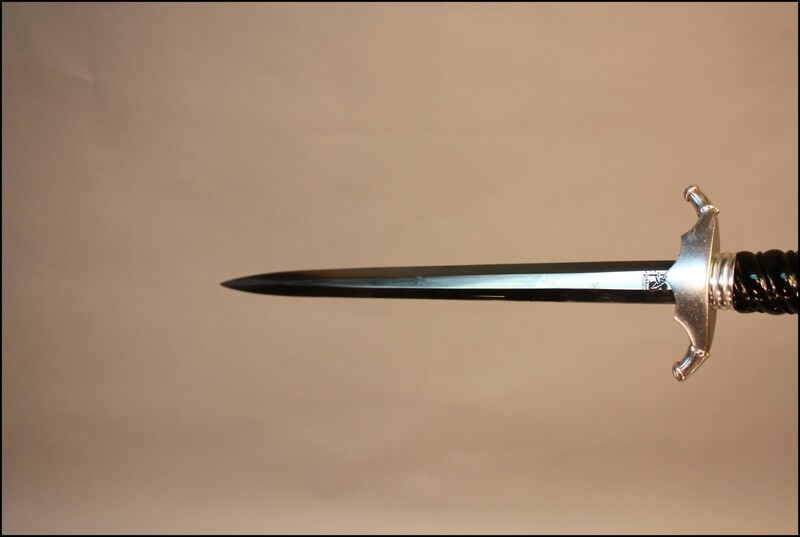 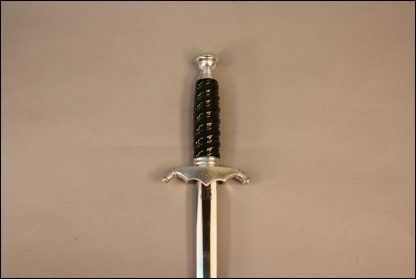 Railway 2nd Model Dagger by Eickhorn – Military Collectibles, Inc. 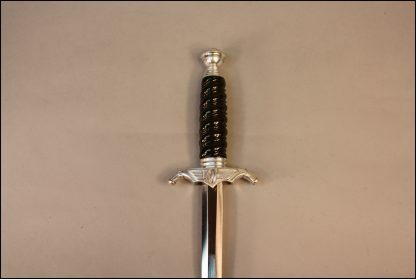 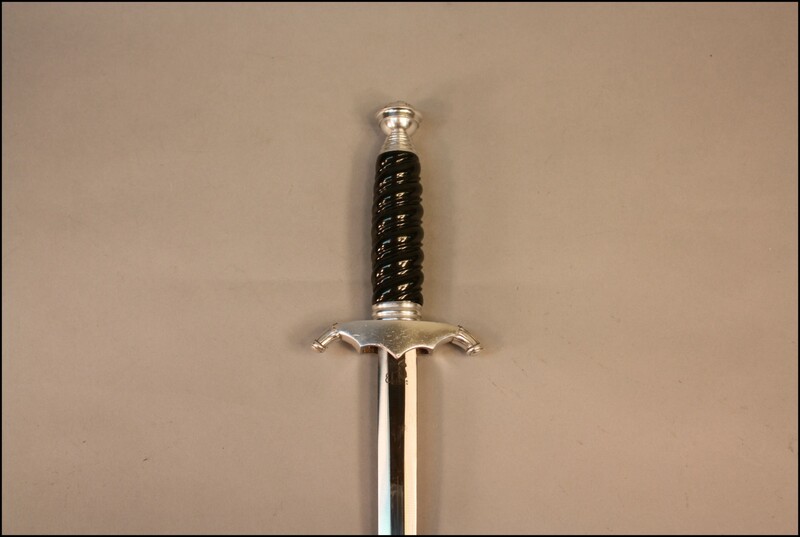 The blade has all of the original cross graining and a nice darkening to the trademark. 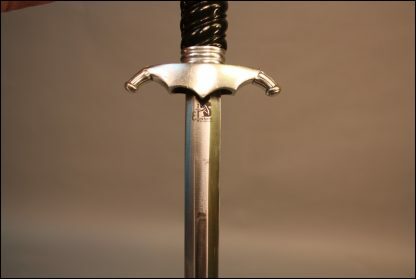 No chips at all to the grip and very nice aluminum fittings. 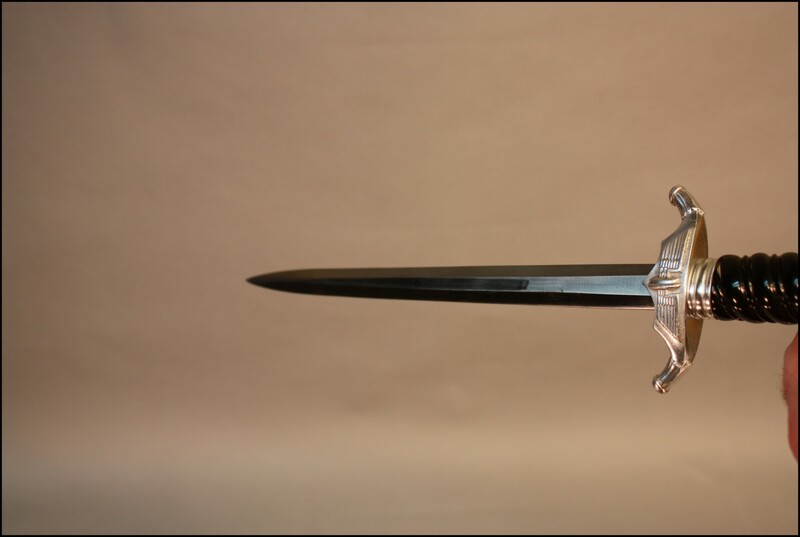 It has diecast flaw in winged cog wheel but nothing that would detract from the piece. 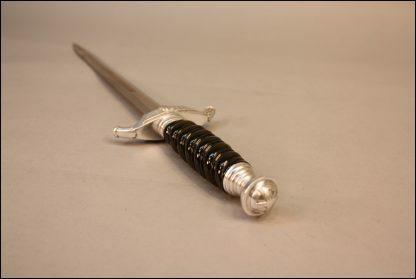 Some very small dark spots on reverse of scabbard but also minor. Scabbard is very nice aluminum with perfect bands.